HOUGHTON — Tis the season of cold in the Keweenaw and homeowners are encouraged to take a couple of precautions to prepare their dwellings form cold weather related complications. 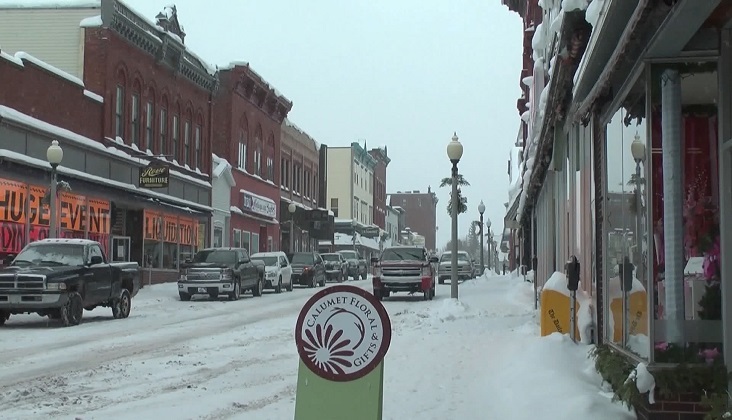 ‘We have had a really good run of cold weather here but we haven’t had a lot of phone calls that people didn’t have water and we’re going to keep our fingers crossed that keeps going that way but we’re not ready to push the button on a let run yet by any means,’ said Eric Waara, Houghton City Manager. The temperatures are steadily dropping, and as the seasonal climate change brings winter tourism dollars, it can also bring cold weather related repair costs for those who live here year round. As furnaces get more use this time of year, it only makes since that this is the time of year that failures occur. A preventive measure that could help prevent a break down, is regularly changing the air filter. This keeps a smooth flow throughout the system and puts less stress on blower motors that run for lengthy periods. ‘We monitor the frost depth at a couple different locations just to try to keep an eye on things,’ Waara added. So what can people do to prevent freezing pipes? A common home remedy is to open a faucet that would allow water to run through the pipes, rather than standing still and becoming susceptible to freezing, but that could cost you a lot of money when you get your water bill. ‘That goes through water. That water goes through the meter so we don’t just encourage people to let the water run because that’s water use, it costs money to produce, it’s sewer which costs money to dispose of,’ said Waara. There are other steps that can be taken, and some may be simpler than you think. ‘Some of the bigger things that people can do is just keep an eye on things in your house. A lot of people don’t realize that a lot of their plumbing under their sinks don’t get a lot of heat to them. So sometimes it’s necessary to open the cupboard doors overnight just to make sure that heat circulates,’ Waara added. Another way to battle frozen water lines, that may not be in a well heated area is by adding a heat tape to the pipe and wrapping it with an insulation. This type of device uses a small amount of electricity but would be much cheaper in the long run than an out of control water bill. Like most municipalities in the U.P., the City of Houghton pays close attention to winter conditions and it’s utility system throughout the season. ‘Our Public Works Department, or Water Department keeps a close eye on what’s going on out in the system to make sure that we don’t have main line or service line freeze ups to the extent possible,’ Waara added.